Michael Ashner’s Winthrop Realty Trust , one of the activist investors that last year successfully pushed for a change of leadership at the embattled New York REIT, has its sights set on another investment vehicle controlled by the scandal-plagued American Realty Capital. Winthrop recently bought shares in the nontraded American Realty Capital New York City REIT, and is calling on fellow investors to vote down a slate of proposals at the June 27 board meeting that the company claims is unfriendly to shareholders. New York City REIT is run by investor Nicholas Schorsch’s American Realty Capital, which in 2014 admitted to overstating financial results and purposely covering up the error. The scandal had a ripple effect that reverberated through more than a dozen investment vehicles sponsored by AR Capital, including the publicly traded New York REIT. 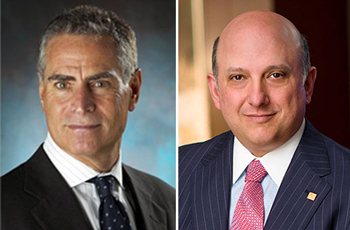 Ashner said that since Schorsch withdrew from raising new funds, he’s focused on extending one-year management contracts at the companies he oversees into 20-year contracts that place his own enrichment over the interests of shareholders. A representative or New York City REIT could not be immediately reached for comment. Winthrop is asking fellow shareholders to vote down a slate of a dozen proposals, including one that would give the REIT’s board authority to extend the advisor’s contract indefinitely, and another that would limit investors’ access to the company’s books. “These value destroying proposals . . . eliminate valuable shareholder protections and open up the door for unlimited and unfettered Schorsch control of your investment,” Winthrop wrote in an open letter to shareholders June 1. Ashner told The Real Deal that investors voted down these proposals when they came up last year, and his goal is to turn around the company, which has seen the value of its shares fall as New York City real estate values rise. “This one, if there’s change to be had here it will take at least a year,” he said. New York City REIT is valued at roughly $1 billion, and owns office properties such as the 545,000-square-foot 123 William Street in Lower Manhattan, which it picked up for $253 million in 2015, and the 167,000-square foot building 9 Times Square (200 West 41st Street). It also holds the ground lease to the 250,000-square-foot 1140 Sixth Avenue, which it bought from Blackstone Group last year for $180 million. Company president Edward Weil took over in March after former president and CEO Michael Happel resigned. Happel last year stepped down as CEO of New York REIT and was replaced by former Vornado Realty Trust executive Wendy Silverstein, who is overseeing the company’s liquidation.